On Wednesday, June 28th, 2017, of Harwood, MD (formerly of Mt. Rainier, MD and Annapolis, MD), at the age of 81. Son of the late Robert J. and Louise (Kohlhoss) Ballantyne. Loving father of Erin B. Granzow (Danny), of Bowie, MD. Stepfather of Heidi Porto (Roger), Jared Cruze (Kim), and JeanPaul Cruze (Melanie). Grandfather of Savannah, Sophie, and Daniel Granzow. Brother of Mary Lou Smith, Robert Ballantyne, Harry Ballantyne, the late Dorothy Moore, and the late Ruth Thomas. Bill was a loving and supportive father, father in law, brother, grandfather, uncle, cousin, friend, mentor, and neighbor to many. Bill grew up in Mt. Rainier, MD, attended St. James for grade school, and Gonzaga High School, Class of 1953. 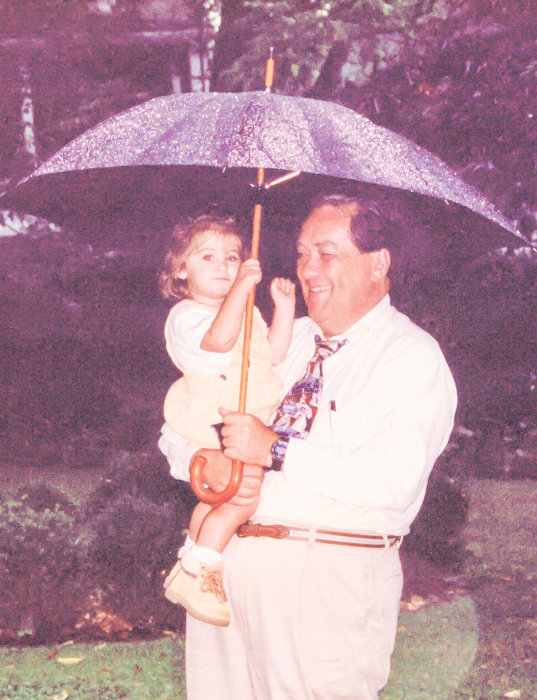 He was a wonderful father and grandfather, like no other. Bill was fun! He enjoyed boating, spending time with friends and family, going out to lunch with friends, and watching baseball (lifelong Orioles fan!). Bill was also a member of St. James Parish and then Holy Family Catholic Church, when he moved to Annapolis. He was also a member of the Knights of Columbus, Council #2809. He loved to keep in touch with old and new friends and was always there for a friend or family member in need. He always prayed for others and was a lifelong servant to God. His bright smile and loving support and friendship will be missed by so many. Friends may call at Gasch's Funeral Home, P.A., 4739 Baltimore Avenue, Hyattsville, MD on Thursday, July 6th from 2 to 4 and 6 to 8 p.m. A Mass will be held at St. James Catholic Church on Friday, July 7th at 11 a.m. Interment immediately following at Fort Lincoln Cemetery in Brentwood, Maryland. Reception for Bill to follow at Heritage Hall - Catholic University, right next to the Shrine.